Melvin Suhr, age 89, of Storm Lake, Iowa died October 22, 2018 in Sioux City, Iowa. Memorial services will be held Friday, October 26, 2018 at 10:00 a.m. at St. Mark Lutheran Church in Storm Lake. Burial will be in the Mount Hope Cemetery near Red Oak, Iowa. Visitation will take place Thursday, October 25, 2018 from 5-7:00 p.m. at the Fratzke & Jensen Funeral Home in Storm Lake. Complete obituary available here! Rostered leaders are invited to vest; the color of the day is red! 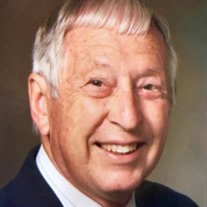 Peter V. Boe, 80, of Sioux City, died Monday, Oct. 22, 2018 at a local hospital. Funeral Services will be at 10:30 a.m. Saturday, October 27, 2018 at St. Paul Lutheran Church in Rural Merrill, Iowa with burial to be at a later date near the family cabin in Northern Minnesota. Visitation will be on Friday, October 26th, from 4:00 p.m. until 8:00 p.m. with family present at 6:00 p.m. at Meyer Brothers Morningside Chapel. Online condolences and complete obituary may be found at www.meyerbroschapels.com. News from the NE IA Synod - We have just received word that Pastor Ken Hatland died on Wednesday, September 26, 2018, at the age of 88. 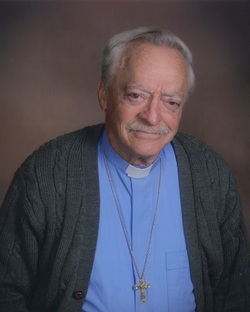 He was ordained on June 2, 1963. He served as pastor at Salem, Lake Mills; Elvira Zion, Clinton; Zion, Rake; and Our Saviour’s, Mason City. He retired on October 1, 1995. Following retirement, he served as visitation pastor at Trinity, Mason City. Pastor Hatland is survived by three children. Expressions of sympathy may be sent to Kevin Hatland, 804 La Farge Ave., Louisville CO 80027-1874.